Bay Area Center for Wellness is a private club that has been serving the Houston area since 1985. It is dedicated to improving the "wellness" of its members both physically and mentally. It is located in the town of Dickinson, south of the Clear Lake area of Houston, Texas. Dickinson is located about half way between Houston and Galveston, Texas and is about 5 miles west of Galveston Bay. The club is dedicated to improving the mind/body/spirit alignment of its members through a variety of programs. 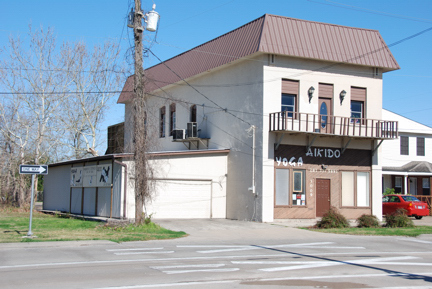 It has long been the home of the Seishinkan Aikido Dojo (say-shin-kan), where a 6th degree Black Belt teaches Japanese Martial Arts, but also offers both Swedish style relaxation massage and Myofascial Release Therapy plus a variety of fitness classes and mental training classes. Unlike most fitness facilities, our club does not require long term contracts. Member's dues are monthly for our Aikido Program or either monthly or per session for Massage, Yoga or Tai Chi. We are affiliated with Hombu Dojo in Japan. Black Belts issued here are registered n Japan at Hombu Dojo and recognized world wide. The goal of the founder of the Bay Area Center for Wellness, Walter Marker, PhD, 6th degree Black Belt, is to create a Center for exploration and discovery along a variety of different paths. There is so much about our world we don't understand. Thousands of people died in earthquakes last year because we don't understand how our planet works with enough insight to predict earthquakes. Millions die from Cancer each year because we don't completely understand how our body's work. To get even more humble, NASA's Hubble Space telescope has discovered that the Universe is 70% Dark Energy, 25% Dark Matter and only 5% the ordinary matter we are made from. So we have limited knowledge of 5 % of the Universe and no knowledge of about 95%. Sort of makes you humble when you think about it, doesn't it. Come explore the part of the unknown that interested you. Perhaps it's merely a new type of massage that can make you body feel differently. Perhaps its experimenting with the ancient arts of Yoga or Tai Chi. Perhaps its feeling the empowerment that Martial Arts provides. Experience the mental training of NLP or investigate the mysteries of Shamanism. Open yourself up to possibilities! "there are many paths up the mountain". "I warn you. Look at every path closely and deliberately. Does this path have a heart? If it does, the path is good; if it does not, it is of no use." While the programs we offer are very diverse, they all promote mind/body/spirit alignment along different paths. Try them and discover which one has "heart" for you. Primarily physical programs are available in our massage program and in various fitness classes. These programs combine Western physical training with Feldenkrias principles and Eastern breathing techniques. More explicitly Eastern programs that are still very physical are available in the aikido (from Japan) and yoga (from India) classes. More meditative paths are available in the tai chi (from China) and iaido (from Japan) programs. Purely mental classes are available in our NLP (Neuro Linguistic Programming) program. Our massage program straddles the worlds. 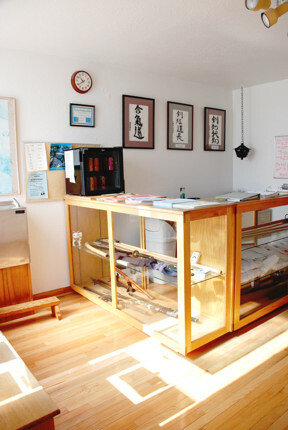 Our program ranges from Western European style of Relaxation Massage (Swedish style), to American style, scientifically based Therapeutic Massage (Trigger Point and Myofascial Release) to traditional Eastern Massage (Japanese Hot Stone Massage). For details, checkout our Massage Webpage. The building is one of the oldest buildings in Dickinson. It was built in the early 1900s in the construction style of the Galveston Strand with masonry walls over a foot thick that, over the centuries, has survived many hurricanes. Visitors are first welcomed in a small entry foyer with a distinctly Asian flavor. 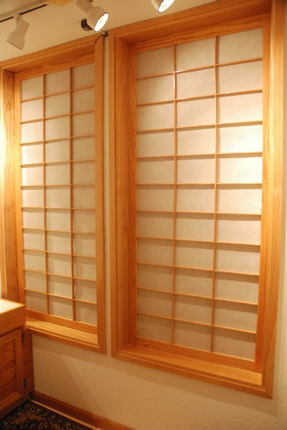 The hardwood oak floors and display cases with Japanese Calligraphy on the walls welcome visitors with a very different feeling than the usual health club or spa. 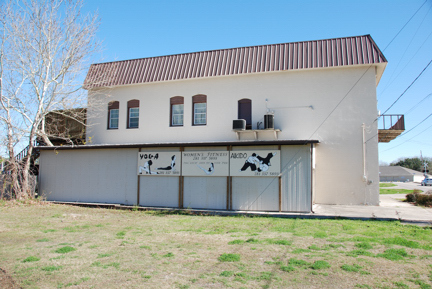 All the physical programs are taught in full matted "dojo". The floor is built in the style of a 1950's era gymnastics floor and provides tremendous shock absorption. The soft surface is extremely comfortable so all our programs that involve mat work can be done in comfort.